Keep an eye out for some coloured Quartzite benchtop beauties that we will be bringing in from Brazil in the new year! What type of natural stone is Quartzite? Quartzite is often confused with Quartz, a man-made produced stone, engineered from resin and quartz chips tinted with various colours. It is a metamorphic rock that is the result of sandstone and the mineral quartz being put under extreme heat and pressure within the crust of the earth. Its changes are a slow process resulting in an altered appearance of rich colours and patterns that are formed as a result of different conditions. Colours range from white to black, with shades of blue, green, yellow and brown. A slab can appear grainy because of its formation from sandstone through recrystallization of Quartz grains. At least 90% of a Quartzite stone slab is Quartz. For a long time, it was commonly used for bricks and other building materials. It became very versatile in construction, used for strong materials to flooring to decorative wall coverings and recently has become very popular for kitchen benchtops. 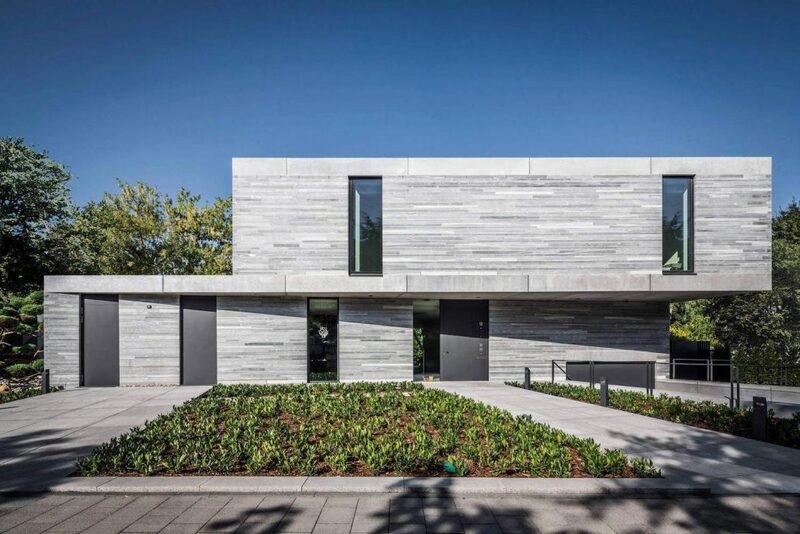 This contemporary house in Cologne, Germany was built in 2016 out of grey Quartzite stone. The stone is so diverse, it flows systematically through the interior, cladding bathrooms, the whole of the swimming pool area and many of the home´s floors. Read the full article here. Quartzite is awesome for an outdoor stone application. It has very low water absorption rates. It is very resilient to staining from leaf and debris. And it has a high resistance to slipping thanks to its textured surface. 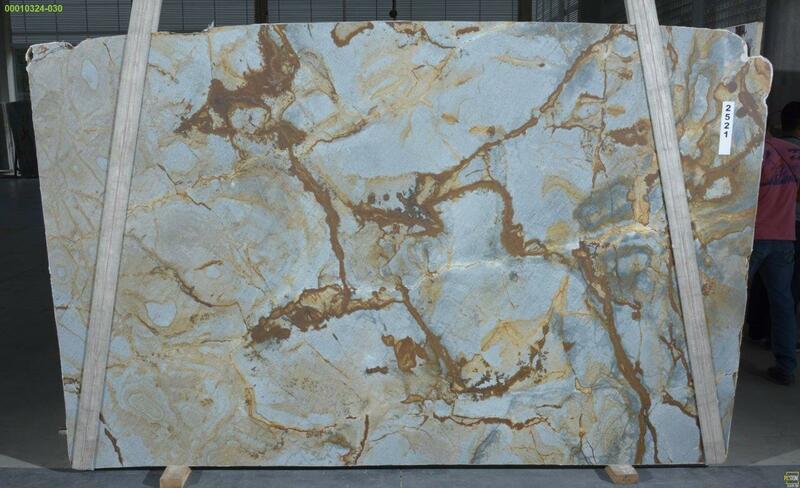 Why should you choose Quartzite? Interior designers love a quartzite benchtop for the look, builders and homeowners love it for its durability! It comes in lots of popular varieties, like White Macaubas, Mother of Pearl, Taj Mahal and La Dolce Vita. Here at Victoria Stone Gallery, we will be specialising in a big range of exotic coloured Quartzite, bringing it in from Brazil to Melbourne. It’s heat resistant and naturally strong. On the Mohs scale of hardness of 1 to 10 (10 being the hardest), Quartzite measures in at 7, with Granite behind in between 6 and 6.5. This difference will buy you a bit more time to clean up before the stone starts to etch if it comes into contact with acidic materials. 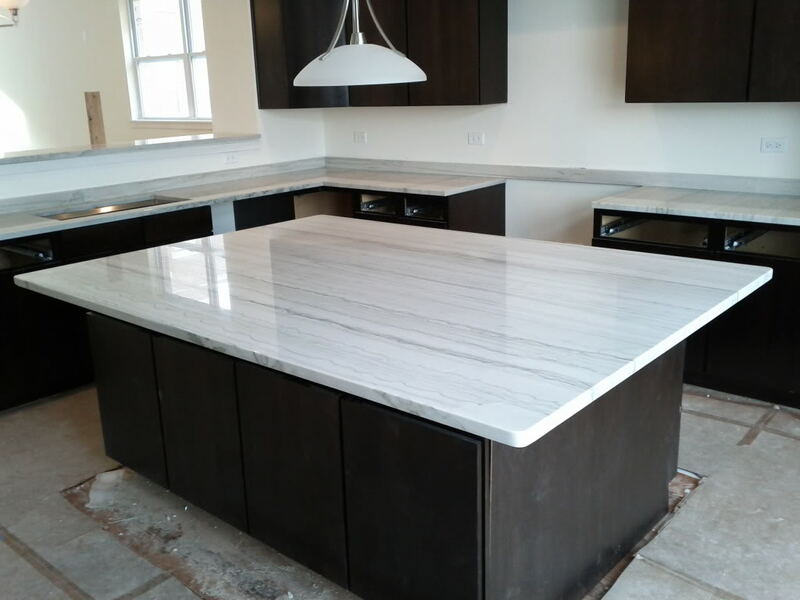 How do you maintain a Quartzite benchtop? Although it is heat resistant, any prolonged heat exposure can cause problems. Just avoid that by using trivets, hot pots, chopping boards! Avoid etching by keeping common household items that are notorious for etching away, like lemons, fizzy drink, and red wine. Etching is basically the surface damage in the form of a dull mark on natural stone. It happens when acidic substances come into contact with natural stone that contains calcium carbonate. Sealing will depend on the type of Quartzite you have, ranging from not having to be sealed at all, to resealing every year or so, to regular sealing. Check with your stone fabricator which category yours falls under! Adding a stone sealant will give an extra layer of protection. Just like with any other natural stone surface, clean up spills quickly, using a damp, soft cloth and a mild spray disinfectant if needed. Consider picking a honed or leathered finish over a polished finish – they are more forgiving on etching and stains! Honed benchtops aren’t as reflective as polished and are smoother and flatter, which helps to prevent etching. A honed finish on harder stones is much more durable for benchtops in your kitchen. Generally there is a lot less maintenance in comparison to other natural stone, yet still with the look of marble! Our Blue Roma Quartzite looks striking in a leathered finish. Special considerations when shopping for Quartzite? Quartzite comes in soft or hard variations, sometimes the fabrication can be more expensive when it’s harder to cut through. Always check with your preferred fabricator if they have worked with it before! A Quartzite benchtop offers a lifetime of unique look alongside practicality, give it the professional installation and fabrication it deserves!